After two years of anticipation and competition, the federal government announced Feb 15 the five winning “superclusters” designed to spur economic development and innovation in Canada. Since then there has been a heated debate in the media, in boardrooms, within and among governments and in the academic community about the value and potential impact of such a large investment program. After two years of anticipation and competition, the federal government announced Feb 15 the five winning “superclusters” designed to spur economic development and innovation in Canada. Since then there has been a heated debate in the media, in boardrooms, within and among governments and in the academic community about the value and potential impact of such a large investment program. This policy brief sets out the context for the program, assesses it against the theory and evidence of innovation and development and offers a few observations on how such a strategic effort might need to be managed to generate the desired impacts. Canada’s Digital Technology Supercluster5 in BC to use big data and digital technologies in health care, forestry and manufacturing. The public response to this announcement was mixed. The winning teams were jubilant—they were in the top 10 per cent of the applicants and won significant incremental resources for their development plans. Meanwhile, many of the industrial partners in the superclusters started to count on the funds they proposed to leverage in the proposal. This is going to create friction soon. Most of those industrial projects went through only abbreviated feasibility assessment, given that they needed to be sorted in less than five weeks. Furthermore, each of the five winning teams had asked for more federal contributions than they ultimately were given, which will require some triage to allocate their funds. In most cases the early industrial partners are unlikely to get all that they anticipate. The response of the unsuccessful applicants ranged from gracious to critical. The biggest pushback against the choices were, (1) that the review was done entirely inside the federal government (the messaging was that experts in the civil service made the decisions without any political engagement) using undisclosed methods or processes to assess technical merit and, (2) that the five chosen superclusters seemed rather politically convenient—the successful ventures were in sectors the government had previously signaled interest in and each region got a supercluster, with funding approximately correlated to the size of each region. These criticisms don’t necessarily negate the results, but they underscore the inherently political nature of the process. There was also significant questioning of the underlying logic and value of strategic investments in clusters: some challenged the scale of the forecasted impacts; others questioned the efficacy of grants in generating sustainable economic impacts; and others, especially universities, mused that the allocation of funds to what are largely privately-led ventures would not be as efficient as directing funds to other activities, such as research or training. National Post columnist Andrew Coyne raised the clearest challenge to the program: how will superclusters generate any more economic impact than dumping the same amount of cash on a street corner somewhere in Canada?8 By asking this question he is channeling the logic of neo-classically trained economists, who largely hold sway in ministries of finance and treasury boards in Canada. 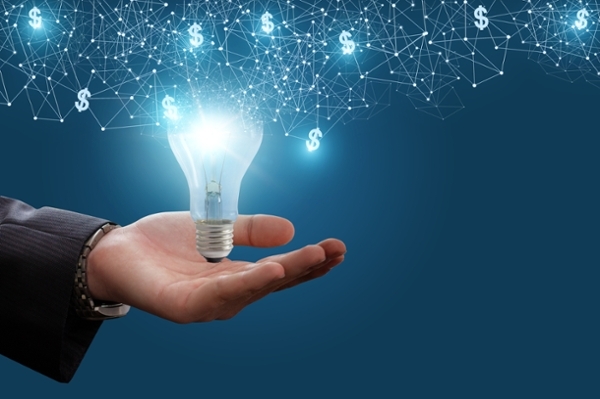 The logic is that full marginal-cost pricing, without any externalities or market failures, will deliver the optimal savings and investment to sustain innovation. If the conditions for efficient markets are reached, then there is nothing a government can do to improve things, and anything they try will be wealth destroying. This approach does provide for some minimalist role for government—namely to get the economic and investment climate right in order to create the appropriate incentives for private initiative. This usually involves governments providing the rule of law, establishing and adjudicating private property rights and investing in a range of public goods or common-pooled goods such as education and market information that enables private capital to make choices. This theory is the most general, in that there is little room for local considerations in the policy mix—if this is all we had, we should agree with Coyne. The difficulty with the minimalist economic approach is that it says nothing about how firms and economies develop. Douglass North, a Nobel Prize winning economist, bluntly asserted that “neo-classical theory is simply an inappropriate tool to analyze and prescribe policies that induce development. It is concerned with the operation of markets, not with how markets develop.” 9 In short, few if any firms or industries emerged unaided from the primordial soup of the markets—most were motivated by dominant buyers, suppliers or innovators, aided by friends, families or angel investors and nurtured in communities of competitors and collaborators. None of those remotely resemble the world of neo-classical economists—most economic and business histories show that an uneven mix of market opportunities, resources, leaders and competitive forces generates new commercial ventures. Before moving to the more contextualized theories of innovation and growth, it should be emphasized that they are not replacements for the neoclassical marketplace, but rather enhancements and extensions designed to deal with the uncertainties and imperfections of our economies and societies. In that sense, getting the signals/prices right is necessary but not sufficient condition for development. Superclusters are better understood as a mix of three contextualized theories of how innovation and development actually happens. Futurist Charles Leadbeater asserts they are essentially combining ‘special people’ (a.k.a. creatives) doing ‘special things’ (i.e. innovating) in ‘special places’ (a.k.a. clusters).10 But given the diversity of the five successful applicants, they will likely accentuate different balances of those factors, influenced by the scale, market orientation, access to capital, research capacity and normative values of the specific sector or region involved. In many ways this program is most consistent with the cluster approach, which builds on the reality that firms co-locate to benefit from competition and traded interdependencies, including extensive forward and backward supply-chain linkages and ‘thick’ labour markets. This approach, popularized by Professor Michael Porter of Harvard Business School in the 1980s, usually involves a mix of subsidies and tax credits to build or attract new firms and a range of supporting infrastructure investments (e.g. airports, universities, public laboratories and industrial parks).11 Clusters tend to hone in on well-defined urban agglomerations. Regions promoting this approach tend to attract firms pursuing a product-based approach, as these centres facilitate cost efficiencies that allow the firm to gain or sustain market share. Ironically, while the cluster model has been subsumed in the larger innovation literature, there is little explicit focus on innovation in most clusters efficiency trumps all other motives. While it is evident that economic agglomeration exists, investing in clusters is a bit like playing a lottery—you can’t win without playing, but playing doesn’t necessarily guarantee winning. By a conservative estimate there are more than 2,500 communities around the world asserting they have or wish to have clusters; there are many well documented successes (e.g. Silicon Valley, Europe’s BioValley) but even more near misses or failed attempts. While the easiest response might be to not try, the success stories suggest the returns an be significant. In the 1990s the special-processes approach to innovation gained ascendancy, variously described as national or regional systems of innovation12 and the triple helix model.13 This approach posits that economies of scope from collaboration generate untraded interdependencies between people and not causally linked to success. At about the turn of the millennium, a group of business theorists and economic geographers broke away from the special-processes group and began to explore the role of the creative individuals in the context of the innovation process. Professor Richard Florida, now of University of Toronto, hypothesizes that creative individuals are at the core of the innovation process—and that highly creative individuals can be nurtured in communities that invest in technology and talent and celebrate diversity and change.14 The institutional and social pathways of change are not fully delimited in this literature, but the central tendency of those promoting this approach is to generate highly-creative human capital through education and investments in research and networking programs and to invest in ‘local quality of life’ factors to attract talent from elsewhere. Firms attracted by these milieus tend to be pursuing knowledge-based strategies, seeking to be on the leading edge of technology, product and organizational innovation. The opensource, creative commons approach is often wistfully cited as the perfect environment for creative types, as it easily facilitates novel recombination of knowledge and ideas. The creative hypothesis is most difficult to validate. Our proclivity to explain success through heroic efforts of industrial titans offers only tautological support for this approach. We can all agree that Bill Gates and Jeff Bezos have had extraordinary impact, but even they might admit they had great teams behind them that made their visions reality. They are creative milieu in that they posit an important role for entrepreneurs and innovators. But given that there is still significant debate in the academy and among practitioners about which approach works best, it is uncertain whether the investments in this program will generate the impacts desired. The design of the competition, that combined political and economic aspirations, and the roll out of the results have created expectations that cannot be fulfilled. Two critical steps are going to be needed to avoid having the efforts of all those development groups fail. First, the federal government, optimally in partnership with the provinces and anchor cities, needs a strategy for working with the 45 wannabe superclusters that were not funded. Each of those groups had credible ideas and real opportunities to shift the needle on economic development and innovation in Canada. Ignoring these opportunities would be a shame. Second, the five groups awarded money will need the help and support of the government (both at the political and senior administrative level) to manage the unrealistic expectations arising from the process. Each group enlisted private partnerships based on an expected flow of federal support; in almost every case the groups received significantly less, in some cases only about half, their request. It is unrealistic to expect the partners to remain committed to their plans given this markedly different value proposition. Furthermore, the federal process required each group to present a number of investment-ready projects to illustrate their potential; most of those project proponents now seem to think they have secured their money. It will be necessary to allow the superclusters to manage their own investments—if that means some of their illustrative projects are not funded, then politicians and senior bureaucrats need to let that happen. So far, almost all the rhetoric and hype has been about strategic and tactical investments in firms and bricks and mortar developments. Undoubtedly some of those are needed, but the supercluster teams need to grapple seriously with assessing the baseline innovation ecosystem they are building on and identify specific measures to amplify and improve performance. That work is slow and relatively thankless, yet is vital to the success of most industrial investments. To support this, the federal government may need to make good on its promises to align their other activities with these ventures. A ‘whole-of-government’ approach to supporting these superclusters would suggest that many parts of the system—e.g. regulators, infrastructure investments, policies and programs at the federal, provincial and municipal level—should become more responsive to the needs of these ventures. This is not to say that anyone wants to undercut the legitimate regulation of our economy, but in most cases government could be more responsive and adaptive in their approach, both realizing the public interest of policy while at the same time accelerating innovation and economic development. Governments are notoriously bad at evaluating the impacts of their ventures. The supercluster program must be property evaluated to quell public concern that this is not an effective policy. That means in addition to the traditional fiduciary oversight of audits and management reviews, the government needs to extend its impact evaluation beyond the traditional focus on efficiency. Ultimately the concerns about this program are based on skepticism that they can be effective. Appropriate evaluation would require developing appropriate baselines, counterfactuals, evaluation rubrics and metrics, which involves collecting the needed information in real-time rather than at the end of the program. The best way to advance public policy and our socio-economic outcomes is to ensure we can measure what we have accomplished. 6 GOC. 2017. Innovation superclusters initiative (ISI): Program guide. Available at: https://www.ic.gc.ca/eic/site/093.nsf/eng/00003.html#toc-01.01 (accessed 7 March 2018). 9 North, D. 1993. Economic performance through time. Nobel Prize Lecture, December 9. Available at: http://nobelprize.org/economics/laureates/1993/north-lecture.html (accessed 31 May 2006). 11 Porter, M. 1990. The Competitive Advantage of Nations. New York: Free Press. Analysis, Oxford University Press, New York/Oxford. 13 Etzkowitz, H. and Leydesdorff, L. 1995. The triple helix: university-industry-government relations: A laboratory for knowledge based economic development. European Society for the Study of Science and Technology Review 14(1), 14-19. 14 Florida, R. 2002. The Rise of the Creative Class. New York: Basic Books. journal articles) on innovation and clusters and was a contributing member of the team that designed Protein Industries Canada.